After many years in the wilderness, including a brief sojourn in Egypt (Gen. 12), Abram and Sarai were still childless. In Genesis 15 the Lord came to Abram and told him "Fear not, Abram: I am they shield and thy exceeding great reward." 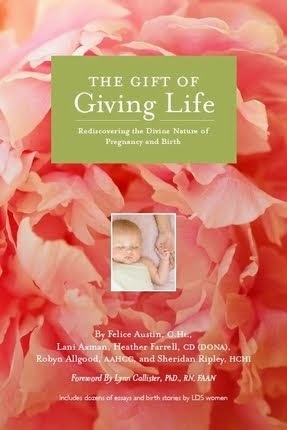 Abram took that opportunity to discuss with the Lord his greatest concern, which was that he had no children, no heir. The Lord then revealed to Abram that he would indeed bear children and that his posterity would be as numerous as the stars. He also covenanted with Abram that his seed would inherit the land of Canaan (Gen 15:18-21) . It is after this conversation with the Lord that Sarai gave her maid, Hagar, to Abram as a wife (Gen. 16). It is also important to note that the promise the Lord made here with Abram is not the Abrahamic Covenant. That covenant is made with Abram and Sarai in Genesis 17-- after Hagar has born Ishmael. Hagar returned to Sarai and when Abram was 86-years-old (and Sarai was 76) Hagar bore him a son whom he named Ishmael (Gen. 1616). God opened Hagar's eyes and she saw a well of water where she and her son drank and lived (Gen. 21: 19-20). She had 12 grandsons who were "twelve princes according to their nations" (Gen. 25:16). Their names were Nebajoth, Kedar, Adbeel, Mibsam, Mishma, Dumah, Massa, Hadar, Tema, Jetur, Naphish, and Kedemah (Gen. 25:13-15). In Genesis 12: 16 we are told that while Abram and Sarai were living in Egypt Pharaoh took Sarai into his household (not knowing she was Abram's wife) and paid him a bride price of "sheep and oxen, and he asses, and menservants, and maidservants, and she asses and camels" for her. It is likely that Hagar was one of the maidservants given to Sarai by the Pharaoh and that when Abram and Sarai left Egypt she was taken with them into the land of Canaan, where she would have dwelt with them ten years before being given to Abram as his wife (Gen 16:3). We are told that when Hagar runs away from Sarai the angel of the Lord finds her " by the fountain in the way to Shur" (Gen. 16: 7). 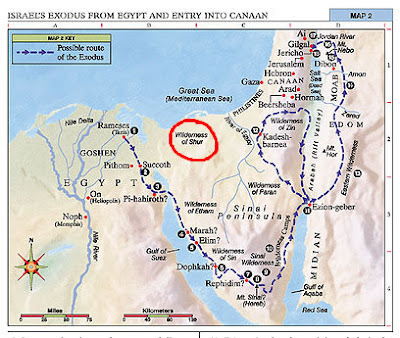 The wilderness of Shur was directly between Canaan and Egypt (the top of modern day Saudi Arabia) and so it is supposed that she was trying to run home. The Book of Jasher, an apocryphal text, gives a few more details about Hagar and Sarai. First 16: 25 gives us a better glimpse of the remarkable woman that Hagar was, "For Hagar learned all the ways of Sarai as Sarai taught her, she was not in any way deficient in following her good ways." Sarai must have chosen her to bear children for her because she loved her and because Hagar was strong in character and faith. Yet once Hagar conceived both women let some pride and judgment enter their heats. Jasher 16: 29-30 gives us more insight it says, "And when Hagar saw that she had conceived she rejoiced greatly, and her mistress was despised in her eyes, and she said within herself, This can only be that I am better before God than Sarai my mistress, for all the days that my mistress has been with my lord, she did not conceive, but me the Lord has caused in so short a time to conceive by him. And when Sarai saw that Hagar had conceived by Abram, Sarai was jealous of her handmaid, and Sarai said within herself, This is surely nothing else but that she must be better than I am." It is sad to think that these two women, who probably respected and cared for each other before, destroyed their relationship because they began judging each other based on their ability to bear children. In Islam, which believes that Ishmael was the chosen son and not Issac, Hagar is highly revered. The prophet Muhammad is thought to have been born through the lineage of Ishmael. She is not mentioned by name in the Qur'an but there are several Islamic traditions about Hagar. One claims that she was the daughter of an King who was captured and taken as a slave in Egypt where she was made head of all the females slaves. When she converted to Abraham's faith she was given to him as a wife. Another Islamic tradition claims that Hagar was the daughter of Pharaoh who gave her as a wife to Abraham, because he thought that Sarah was his sister (source). Then later when Hagar's conception caused trouble between her and Sarah Abraham "resettled" Hagar and Ishmael in Paran-aram. Islam believes that God command Abraham to leave Hagar and Ishmael in the desert in order to test their obedience to His commandments. The tradition continues that when Hagar ran out of water and Ishmael (an infant) began to die she ran back and forth seven times between to hills in search of water. On the seventh time Ishmael hit the ground with his heel and water sprung out of the ground. Today Muslim's believe that Zamzam Well (not far from Mecca) is the place where this occurred and stopping at it and running seven times back and forth between the hills is a part of the pilgrimage that all Muslims make at Mecca (source). Even though Genesis 21: 16 says that Hagar cast "the child under one of the shrubs", referring to Ishmael, it is likely that Ishmael was a teenager by that point. We know that Ishmael was circumcised when he was 13 years-old (Gen 17:25) and that Issac was born one year after that. He wasn't cast out from Abraham's household until Issac was weaned which would have been when Issac was about 4 years-old, making Ishmael at least 16 or 17 years-old by that point. Hagar is a woman in the scriptures that I think is often vilified unfairly. We tend to see her as the black sheep of Abraham's family, the outsider whose unwanted baby just caused trouble for the chosen baby. Hagar was a valiant woman who seems to hold a special place in God's heart. Not only does He personally speak with her twice, but He also blesses her with a great and noble posterity. In fact, if you read Hagar's story closely you will see that He promises her many of the same things that He does Abraham and Sarah-- eternal posterity and increase. Just understanding that alone, gives you an idea about what a remarkable and faithful woman Hagar must have been. One thing that I find significant is that both times Hagar speaks with God it is at a well. The first time Hagar can see the well and it is full of water. She is at a point in her life where she is literally overflowing with blessings. Her marriage to Abraham and the fact that she is carrying his firstborn child has dramatically altered her social status. It is important to remember that Hagar was a slave, and had been most of her life, she had little to no control over anything in her life, not even her body. Sarah chose her to "build up "posterity to her and so she became Abraham's wife. It would be nice to think that she had a say in that choice, but she may not have. When she conceived she gained a little more control over her life because she is no longer just a slave, she was carrying a much wanted child inside of her. A child who, as the Lord later tells her, would become a great man and would make Hagar the mother of a great nation. The Lord has really blessed Hagar, in so many ways, but she can't see that. Her well is filled with water but all she can dwell on are her trials; trials which are really of her own making. Even though she had little control of her situation it was the way she chose to react to it that was making her miserable. She chose to be proud and unkind to Sarai, which lead to her harsh treatment and her consequent despair. When the Lord visits her he addresses her as "Hagar, Sarai's maid" gently reminding her that even though she has a name an identity of her own she is still obligated to serve Sarai. He also tells her that she should "return to thy mistress and submit thyself under hand." He doesn't say, "Go back only if Sarai is kinder, only if she says she is sorry, or only if things get better for you." He simply tells her that she needs to go back, that what He was planned for her is much greater than her pride or even her freedom. 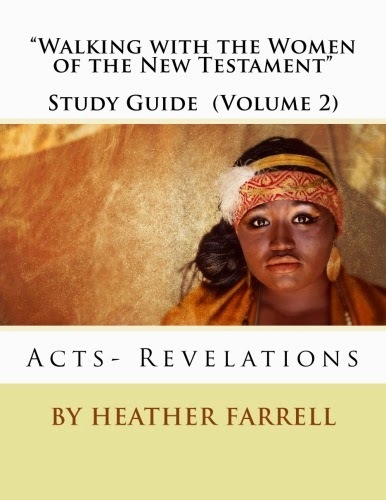 After this revelation Hagar knows God; and she then does something that no one else in the scriptures ever does. While others, like Jacob and Abraham name the place where they saw God, Hagar dared to give God himself a name. She called Him, "The God that sees me", a testimony that she now knows that God is aware of her, that He hears her cries, and that He can literally see her. That knowledge that changes everything for Hagar and she returns to Sarai with a new understanding of her purpose in life. The second time Hagar speaks with God her situation is much different. She has spent more than fourteen years with Abraham and Sarah, supposedly at peace with her situation, and has seen her son Ishmael grow into a young man. Then suddenly she is cast out from her home, not because of anything that she has done but because Ishmael is perceived as a threat to Issac. Abraham is reluctant to send her and Ishmael away but God assures Him that He will take care of them. He has been mindful of Hagar's situation thus far and He is not going to desert her. Abraham sends Hagar and Ishmael with water and provisions but eventually they run out of water. When Hagar and Ishmael finally collapse from dehydration it is apparent that she believes she and her son are going to die. She can do little more than sit down and weep. Her situation looks desperate and bleak. She has lost everything, her home, her husband, and her comfort and security. She had endured fourteen years with Abraham and Sarah now only to have all the promises God made her die. One can only imagine that she felt utterly and completely alone as she prepared to die. This time not only can she not see the well, she doesn't think there even is a well. Yet as she weeps God again visits her and this time he "opens up her eyes and she saw a well of water" (Gen 21:19). The water has been just below her the whole time, but she couldn't see it. It is a beautiful way for God to remind Hagar that He is indeed the "God who sees me" and that, even when it appears that there are no blessings to be had anywhere, that He knows what blessings await her. Hagar's story has brought me a lot of peace in my life. I've found that in some of my hardest moments, the times when I feel like there is not a blessing to be found anywhere, that I have found myself repeatedly praying to God calling Him, like Hagar did, 'The God who sees me." God is referred to by many different names throughout the Bible, yet I think that name is my personal favorite. It brings me so much peace and reminds me that there is a God who knows what I am suffering-- even when no one else does. A God who hears my prayers and who can see the blessings that I am blinded to, either because they are so abundant or because they are yet to be. Hagar's story is also a testament that God sees the suffering of women everywhere. There is not a woman on this earth who cries out in pain, disappointment, fear, or despair whose voice He does not hear and whose trials He does not see. They may not know Him, or even believe in Him, but they are His daughters-- his precious daughters-- and He will never leave them alone. God has a plan for each and every one of children. Trusting in Him, and having faith that we can not comprehend or understand all that God does, makes any amount of frustration, sorrow, disappointment, or pain bearable. Just because we can't see the well of water, doesn't mean it isn't there. We just need to have our spiritual eyes opened and have faith that God sees. How do you know that God sees you? What experiences have you had in your life when you felt His presence and love for you? Why do you think that the Lord allowed, and even encouraged, Abraham to cast Hagar and Ishmael out? What were the consequences, good and bad, that came from that act? Can you see the blessings that God has for you? Are you having a trial of a full well or one of well you can't see? What blessings does He have for you that are lying just below the surface? Why is it that Hagar is often vilified by Jews and Christians but revered by Muslims? Why this disconnect? How could better coming to understand Hagar's story help heal the schism between Christianity and Islam? 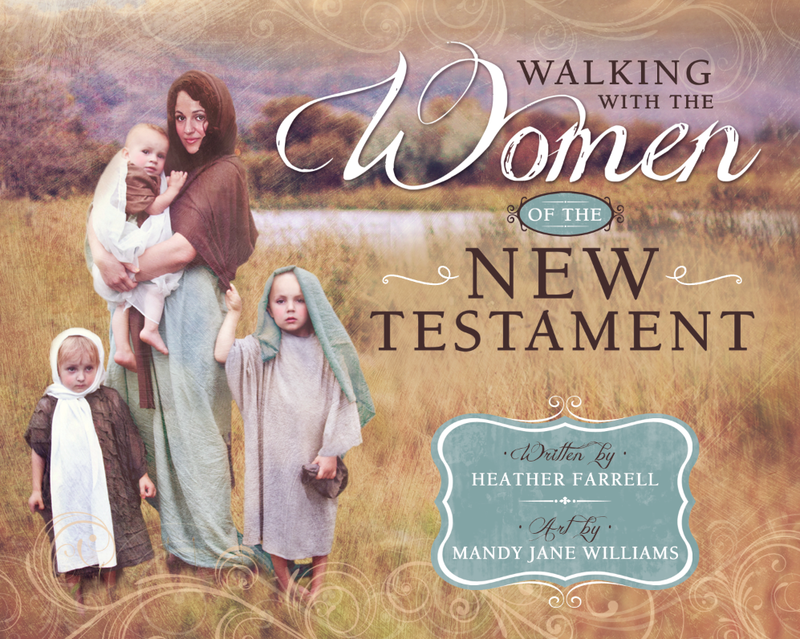 How might Hagar's story have had special significance for the women throughout the Bible and in early Latter-day Saint history who accepted the trial of being in a polygamous marriage? Heather, I LOVE this. I've pondered a lot over Sarah and Hagar, and I love the place of honor you're protected for her here. I don't have any foundation other than my own study to offer for my slightly different interpretation of why Hagar was cast out, except that I also really love Sarah and I think there are some undescribed things going on. 1. Both Abraham and Sarah were deeply committed to the Arab value of hospitality. It would have taken something quite grave to not only not offer sanctuary to a traveler, but to actually cast out one of your own. 2. Sarah references the covenant. It would seem that the inheritance of the covenant (the priesthood) was at stake. Ishmael have grown to the age that he was beginning to challenge Isaac for it, or Hagar may have instigated some challenge that her son, as the firstborn, had that right. Either way, it seems to me that it was more about the promises from God both Sarah and Abraham had existed on for decades than about female jealousy. Abraham was the last bridge to the patriarchs of the antediluvian era when Shem/Melchizedek ordained him, and the "promises of the fathers" that Abraham had sought were a vital part of his inheritance. 3. 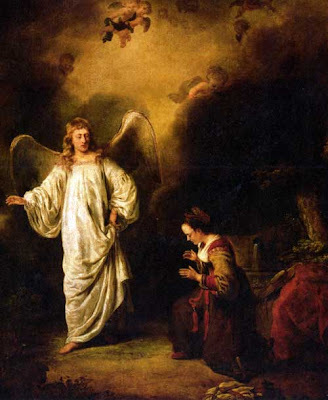 "The Lord judge between me and thee" seems to have been an incredibly powerful motivator to Abraham. He apparently understood that Sarah's viewpoint would be supported by the Lord. As I said, I really LOVE your thoughts here! This is only a tiny quibble over an inconsequential detail. I especially loved your point about her giving God a name (even Moses asked him his name). The audacity! I love Hagar. Bonnie, love your insights and I think you bring up a good point that Hagar's story is all about the covenant and that we can't really understand it without that perspective. I think it is important to remember that there wasn't hatred between Issac and Ishmael-- the Bible says that when Abraham died they came together to burry him. And remember that in Hagar's talk with God he promised that Ishmael would dwell with his brethren. I think we can probably assume that they were good friends and that they understood their respective roles. They were both the fathers of great nations-- they had different promises but God loved them the same. Same with Hagar and Sarah! I've never thought of Hagar negatively, in fact, just the opposite. I've always had a hard time with this story: Hagar is given to a man and conceives his child (probably without any of it being her own choice), then, many years later, she and her son are cast aside and cast out. I like this post, though, and the focus on Hagar's relationship with God. While I still don't understand fully how God could allow Hagar to be used as she was by the Lord's elect (this wasn't a case of evil being done by evil people), I do appreciate how you've illuminated Hagar's loving relationship with God. And I just love that name that she gives to God; that will certainly stick in my mind. 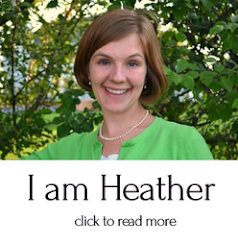 Thank you Heather for such an amazing post. I never thought that Hagar was villified, so I'm curious where that line of thinking came from. I would love it if you have a source. Living in Saudi Arabia among Muslims has given me much to think about--especially with Hagar. I like your insights. But I agree, living with Muslims totally changed my understanding of Hagar and Ishmael. I recently "found" the story of Hagar, meaning I really read it from another perspective, and have found so much joy and peace in her relationship with God. 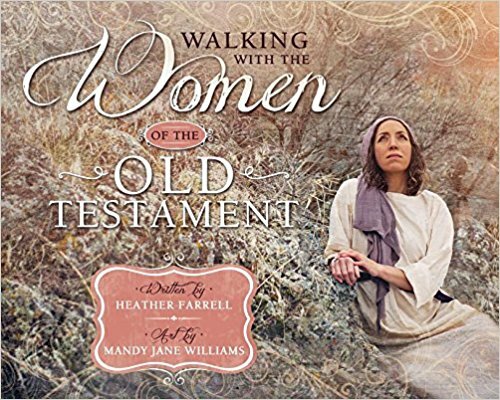 It is particularly comforting to me to know that there is a scriptural example that God will speak to women, just as he does man. The other reason I love the story so much is because of all the things it teaches about Ishmael and his posterity. All the animosity and brutality I see in the world toward Muslims is rather frightening. When I read the story again, and found in Genesis 21:20 that "God was with the lad" (meaning Ishmael) I felt like I had to tell people, as if it could stop the prejudice. It is so beautiful to know that even when those who do not have the covenant with God--or have not yet entered into that covenant--are still loved by Him and blessed with his presence. This is a righteous post Heather, thank you so much. In reading this information you have shared, I have learned a lot, and Hagar seems to become more of a real person, and not a victim. A new light can be shed on Abraham and Sara as two real people, struggling with infertility and now waiting for a promised child. I feel that their story is so modern, that in our day and age, we can appreciate the stress, even the issues of surrogatecy that many consider as an option for having children. Thanks for the article--I recently found this (http://www.mormoninterpreter.com/hagar-in-lds-scripture-and-thought/?utm_source=feedburner&utm_medium=email&utm_campaign=Feed%3A+mormoninterpreter+%28Interpreter%3A+A+Journal+of+Mormon+Scripture+%28RSS%29%29) about Hagar, and found it fascinating. 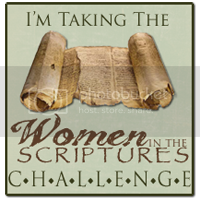 Thanks again for your blog--as a father of three girls it is nice to have somewhere to read more about the women in the scriptures. 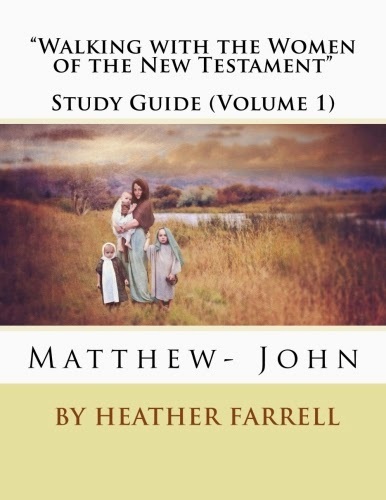 I am preparing to teach a class about Hagar and Sarah, and have had such difficulty finding anything in LDS teachings about Hagar, other than Genesis. I have a hard time wrapping my mind around why that is, and feeling that she is still somewhat "cast out". I am grateful for this post and thank you for your insights and diligence in naming your sources. I have felt great comfort in reading this. I feel so strongly that Hagar was a chosen daughter who has a glorious mission and eternal, covenant blessings. I have taught the Old Testament and been inspired to always bring up the fact that Isaac and Ishmael buried their father together, I believe that this point is paramount in beginning to understand the true nature of this family, and I appreciate your inspired attention to all of these details. Just a comment about Muslims - While we are taught to love our neighbor which includes people of other religions, most believers in Jesus reject the Islamic ideology & sharia law. Ishmael definitely did not establish the religion Islam because he died over two thousand years before the religion was founded by Muhammad. Muhammad himself definitely did not claim that Ishmael founded Islam, but he did claim that he was a prophet in the spirit of Abraham, Ishmael and Moses.